India at the moment is hosting a chain of traditional festivals with the onset of springtime of the year. 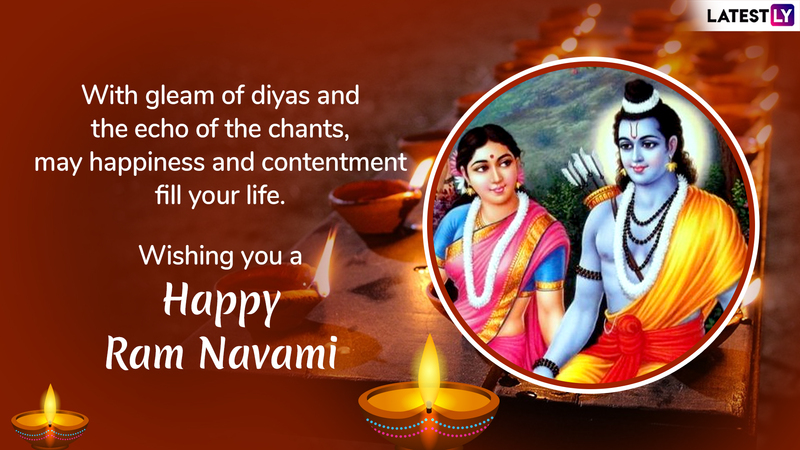 While many communities are observing the Hindu New Year, devotees across the nation are exhilarated with the celebration of Rama Navami. Those who follow the Hindu Vaishnava calendar, will celebrate Vaishnava Ram Navami 2019 today, April 14. 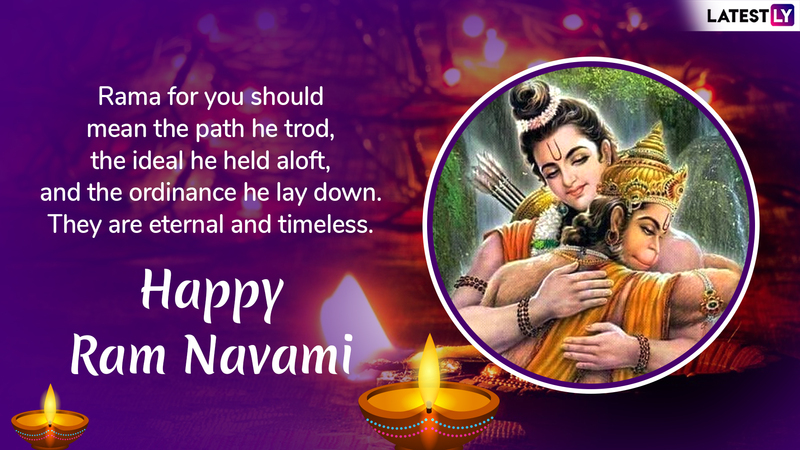 Like other Indian festivals, people love to exchange meaningful Ram Navami 2019 greetings, wishing their adjacent ones the birth anniversary of Lord Rama, the seventh incarnation of Lord Vishnu. Share these auspicious Happy Rama Navami messages and wishes through Facebook and WhatsApp and also make your Instagram feed a bit more spiritual on the Hindu spring festival. 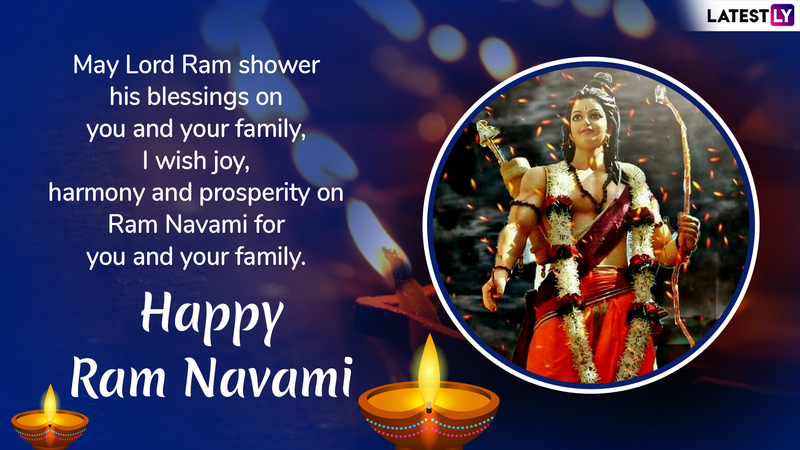 Plus, you can also browse to the impressive collections of 2019 Rama Navami WhatsApp stickers online during the religious observance. Know Everything About Vrat Katha, the Story of Lord Ram. Ram Navami falls on the ninth and last day of Hindu festival Chaitra Navratri. It celebrates the arrival of Vishnu's seventh avatar, Lord Rama and the faithful marks the day by engaging into devotional worshippings of the Hindu god. People gather and participate in singing bhajan and kirtan, fast and read passages about Lord Rama's life. 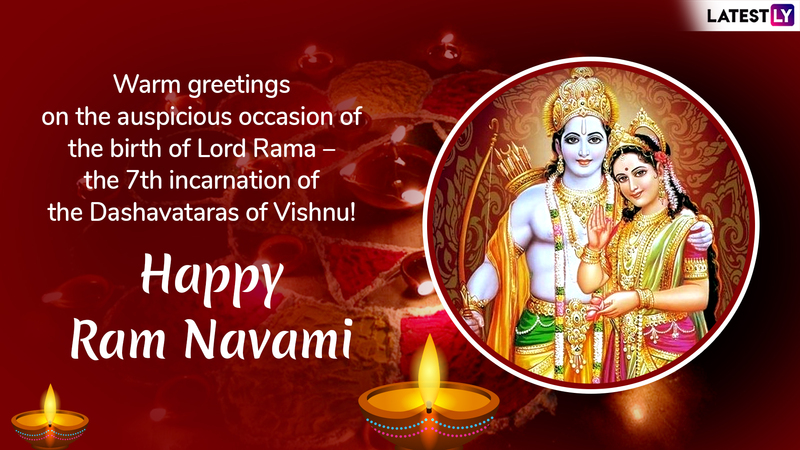 On the auspicious Hindu festival, share these devotional 2019 Ram Navami wishes and greetings along with images with your friends and family, as you observe the celebration of Lord Vishnu's seventh incarnation. From Roat Prasad to Dry Fruit Rabdi Here Are Traditional Dishes You Can Make to Celebrate the Birth of Lord Rama. With the advent of technology, everything is handy today. You do not have to worry about the festival greetings as the online messaging app has come up with super collections of stickers to share on social media. 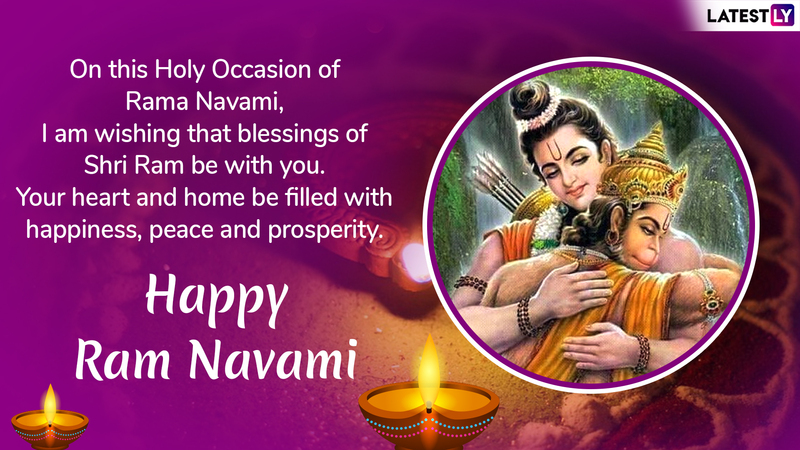 Just like all other Hindu festivals, you can download the Ram Navami 2019 WhatsApp stickers and greetings on PlayStore here. 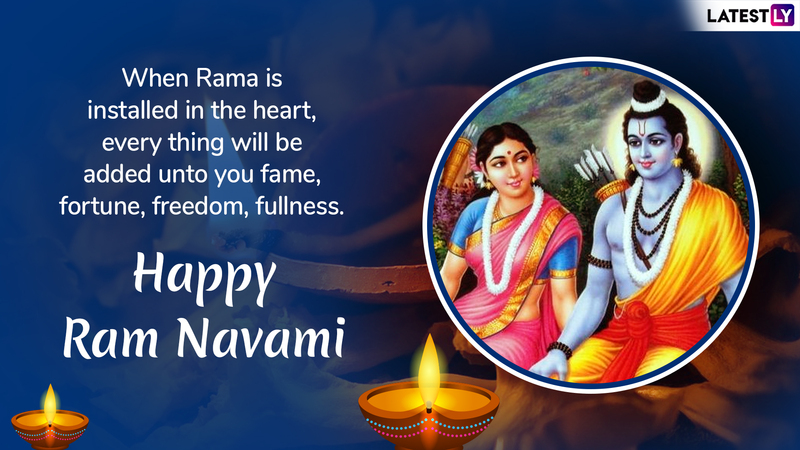 Rama Navami is one of the most revered days in Hindu mythology that is of great significance for the Hindu communities, especially the followers of Lord Ram and Vishnu. Out of all the places, Ayodhya, considered the land of Lord Ram, observes the festival like no other place. The streets and houses are adorned beautifully with fresh flowers and lights. The religious centres across the country dedicated to Lord Rama, are decorated with the statues of the deities dressed, bathed and bejewelled.